Offers air vent cleaning service, repair, and residential duct cleaning that will never hurt your pocket at all. Located in Los Gatos, California. 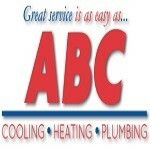 ABC Cooling, Heating & Plumbing has been serving the Bay Area since 1953. In the decades since our founding, we've become the go-to home cooling, heating, and plumbing company for several generations of home and business owners. Our calling card is our superior commitment to customer service. It's what sets us apart from our competitors, and there's something our technicians just love about making a customer's day that much better. Offers wide range ventilation services such as dryer vent kitchen exhaust hood and air duct repairs. 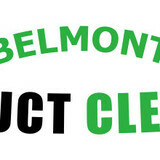 The most renowned air duct cleaning business in Belmont, California. Team of professional technicians and cleaners that offers Industrial Duct System Cleaning and repair. Also offers Air Filter Cleaning and maintenance for homes. Located in Hayward, California. Air duct sanitizing service in Walnut Creek, California works with ventilation units of all kinds. Replace air duct filter and condenser unit cleaning are just some of the offered services. 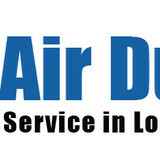 Air duct cleaning company stationed in Union City, California. The company's team provides repair and maintenance services for HVAC systems and dryer vents. Novato, California air duct cleaning company gives great services for ventilation systems. Does air duct seal repair, air filter replacement, and several other tasks to improve overall air circulation. San Ramon, California ventilating cleaning service removes offending substances from the air through air sweep, home air filter cleaning, and more methods. Services done by professional air cleaners. Vallejo, California air duct repair service fixes and cleans specific ducts and entire ventilation systems. Assists with diverse tasks from home air filter cleaning to industrial duct system cleaning. Danville air duct cleaning company known for 24/7 vent services. Any Air Duct Repair, there are always HVAC Air duct Cleaners on standby throughout California. 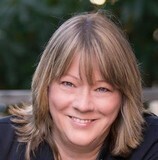 The most trusted Air Duct Contractor found in Concord, California. Your pocket will never be busted with home air duct cleaning, ac repairs, and other cheap services offered. Offers HVAC maintenance, air conditioning solutions, heater repairs and many more. 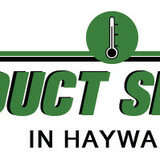 The number one Air Duct Repair Company situated in Dublin, California. Improve your indoor air quality home with the best air duct service provider in Fremont, California. Services include air duct repairs, maintenance, cleaning and so much more.